Savor scrumptious meals after rafting down the Salmon. Enjoy wines from master winemaker Joel Peterson of Ravenswood Winery. Ride the Salmon and enjoy spectacular scenery. 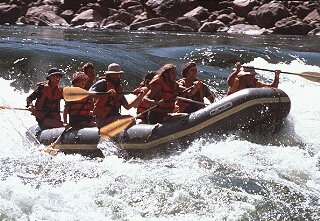 Travel picture of Rafting down the Salmon River.